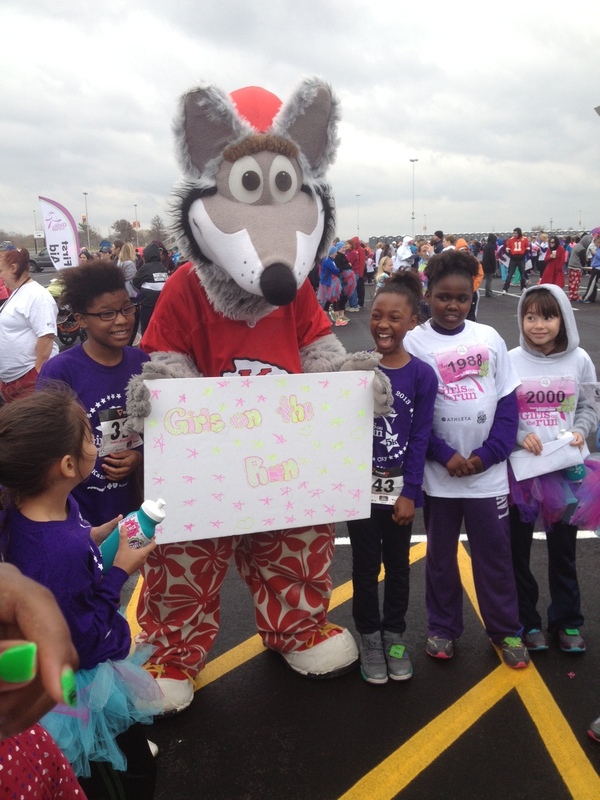 Over 100 girls from 13 LINC schools participated in the Girls on the Run 5k race on Saturday, Nov. 16, at Arrowhead Stadium. Students from Banneker, Faxon, Garcia, Holliday, King, Melcher, Paige, Rogers and Whittier Elementary schools in the Kansas City Public Schools, Burke and Truman elementary in the Hickman Mills School District, and Elm Grove and Indian Trails elementary in the Fort Osage School District were cheered on by parents and LINC staff during the race. Designed to build self-esteem and fellowship, Girls on the Run gives elementary and middle school girls the opportunity to participate in empowering social activities to build self-confidence. The 5k run was the culmination of a 10-week after school activity series in the LINC Before & After School program. 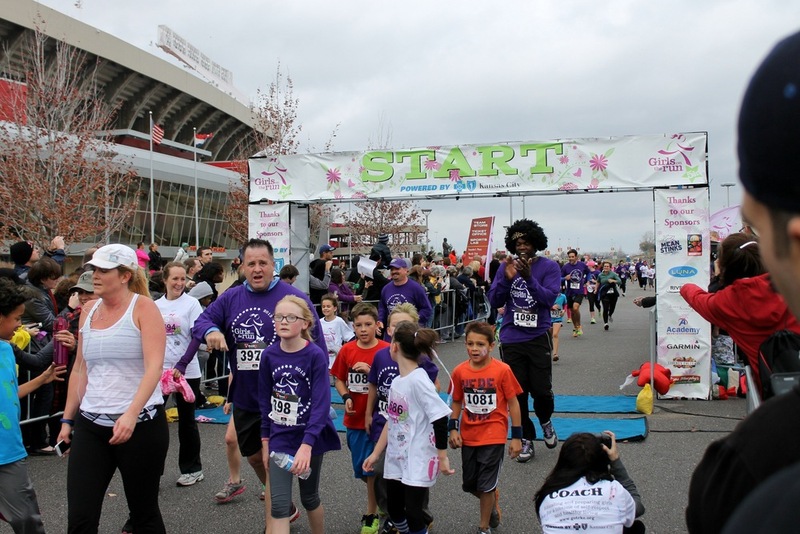 Learn how to get involved with Girls on the Run next semester.